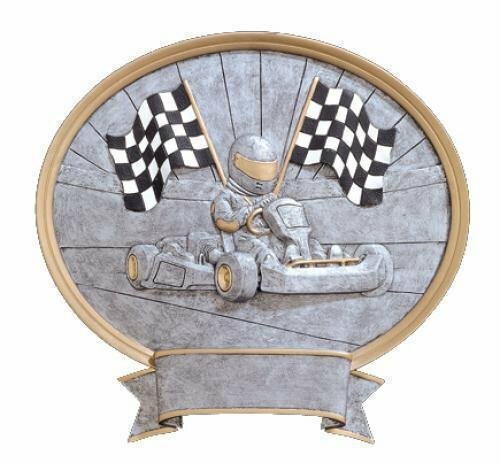 Lots of action is packed into this Legend Go-Kart Award. Several elements in the award are raised providing a 3-dimensional look. A go-kart with helmeted driver highlighted in gold tones is depicted while two crossed black and white checkered flags are shown in the background to complete the scene. This oval award measures 8 1/2" X 8". This item can either be hung on a wall or placed on a desk using the included stand.